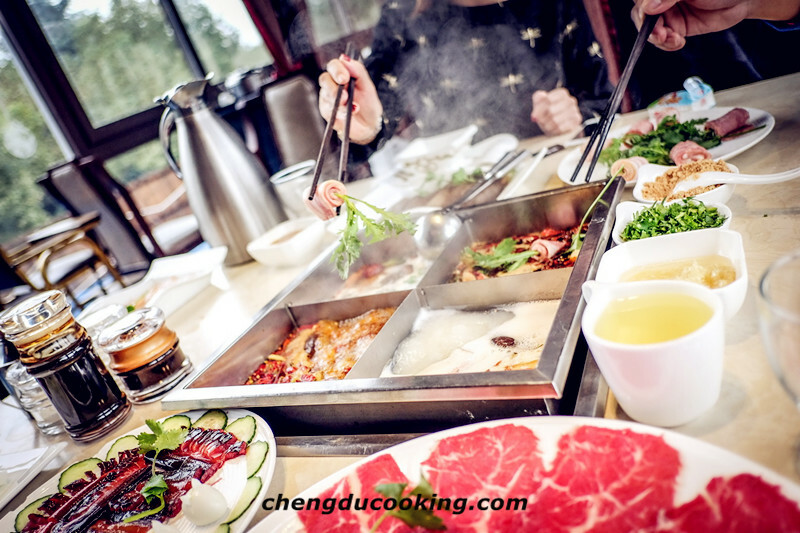 Home » Blogs » What is Sichuan Hotpot? The Chinese hotpot has a history of more than 1,000 years. 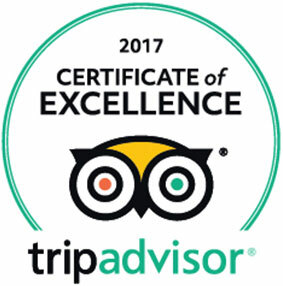 It seems to have originated in Mongolia and the Jin Dynasty where the main ingredient was meat, usually beef, mutton or horse. It then spread to southern China during the Song Dynasty. In the meantime, regional variations developed with different ingredients such as seasonings, soup base and meat etc. 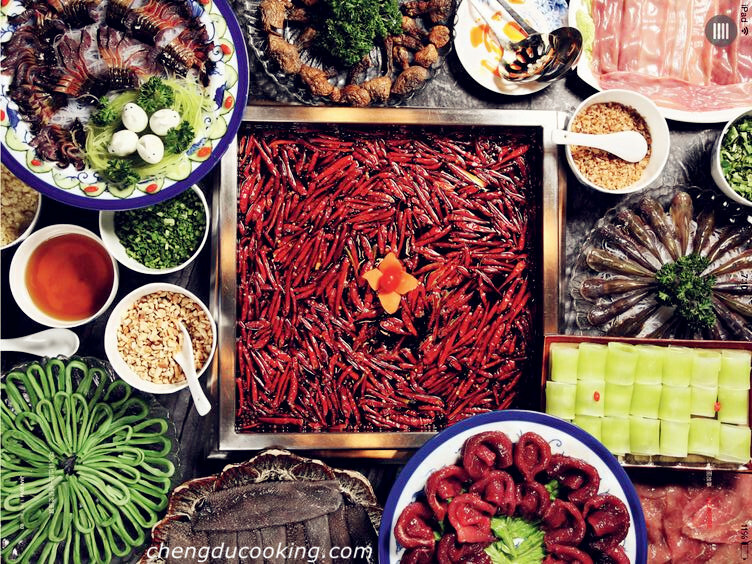 Sichuan hotpot could be traced back to the Qing Dynasty during 1821 to 1851. It is originated in Luzhou, a wine city by the side of the Yangtze River, after various textual researches. The cooker was just a simple pot with soup inside by adding a variety of vegetables together with chili and Sichuan peppercorn. At that time, boatmen often lodged at Xiao Mi Tan, a wharf by the Yangtze River. First they had this simple hotpot just to satisfy their hunger and disperse cold. But it was so delicious that it then spread to other wharfs along the Yangtze River one by one. Chongqing, the main transportation was water route, is much larger than Luzhou. A revolution was brought in after it reached Chongqing. Some Bang-Bang (workmen earned money by holding a wood stick to carry heavy goods for people) went to the butcher to pick up the deserted internal organs. Then ate in a hotpot way with other boatmen after washed and chopped the ingredients. All of them found yummy. Then some people started to run a small business by carrying a pot full of marinade which tasted spicy, numbing, salty and fragrant and selling the food in streets and riverside. It was not until the Minguo 1935 (The Republic of China calendar), the hotpot was moved in a restaurant. The iron pot was changed into brass pot while the marinade and sauce could be chosen according to individual preference. It was so popular that the hotpot restaurants were soon opened one by one on the north side of the river in Chongqing. The street was named Xiao Mi Street to memorize where the food came from. 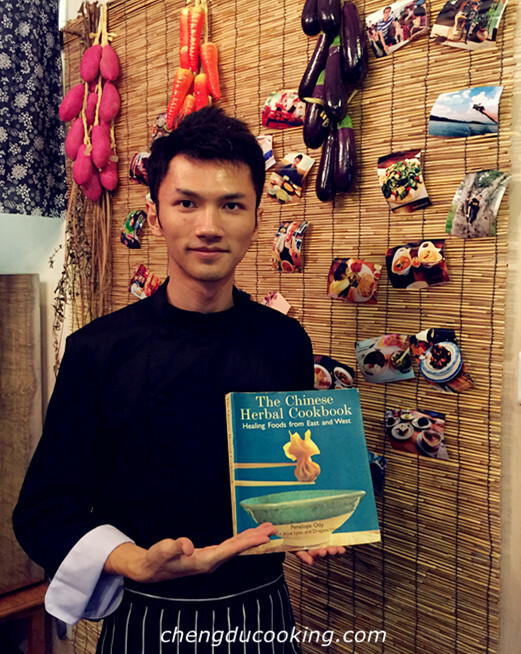 During 1930s, Sichuan hotpot was flourishing. The politicians, businessmen, bankers were all proud to eat hotpot. Many soldiers of KMT went to Taiwan and missed the delicious taste of Sichuan hot and run hotpot restaurants there too. In Dec. 6th 2013, British Prime Minister David Cameron visited Chengdu and had a hotpot here.The prime minister had bean curd, beef, mutton, potatoes, meatballs, skin of bean curd, bamboo root slices, green lettuce, cabbage, mushrooms and glutinous rice cake with brown sugar. Total eleven dishes and one snack. In Mar. 25th 2014, First Lady Michelle Obama and her family visited Chengdu and dined at a hotpot in a city neighborhood. Here is the food menu, beef, bean curd, bamboo root slices, potatoes, meatballs, quail eggs, cabbages, cauliflower and mushrooms. One of the most famous variations is the Sichuan hot pot má là "numb and spicy" hot pot, to which Sichuan peppercorn is added. 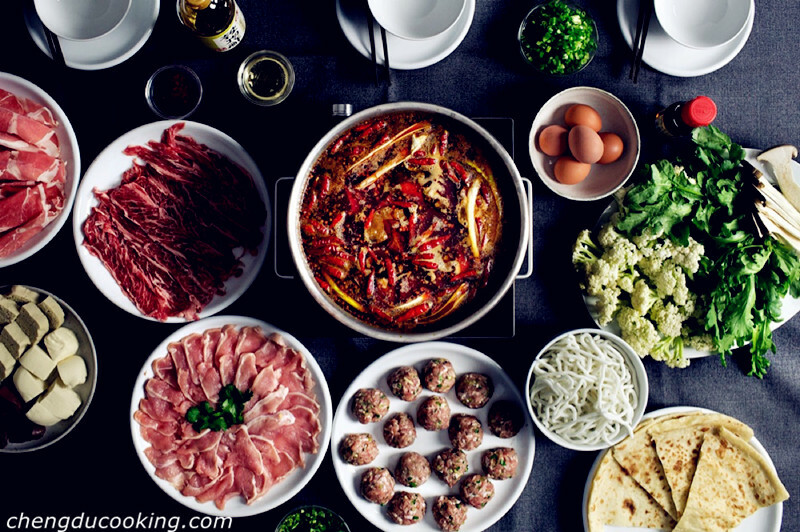 A Sichuan hotpot is markedly different from the types eaten in other parts of China. Quite often the differences lie in the meats used, the type of soup base, and the sauces and condiments used to flavor the meat and vegetables. Má là huǒ guō could be used to distinguish from simply huǒ guō in cases when people refer to the "Northern Style Hot Pot" in China. Instant-boiled mutton could be viewed as representative of this kind of food, which does not focus on the soup base.